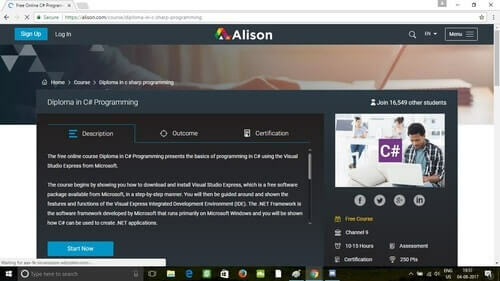 Whether you're just getting started, or are a seasoned developer, taking an online course can always help you learn something new. Check out this list. Control statement, functions, arrays, and object classes. Properties, inheritance, polymorphism, and abstraction. Namespaces, strings exception handling, file IO. Writing your first hello world program. Strings, looping, dates, and times. Arrays, collections, and calling methods. Testing your code and troubleshooting. Variables, If and Switch statements. C# Statements, loop constructs, and exception handling. 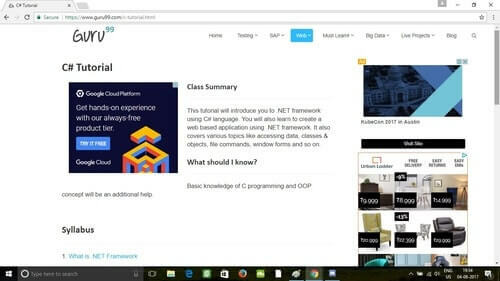 This is an introductory tutorial into the .NET framework using the C# language. 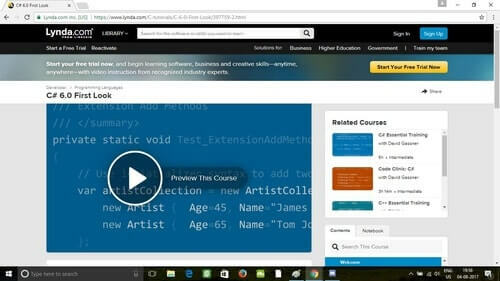 It also covers various topics like accessing data, classes and objects, file commands, and Windows forms. 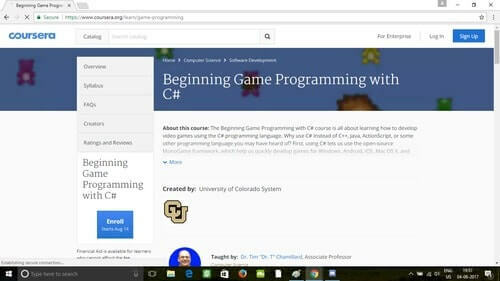 This is not a beginner’s course, and a basic understanding of C is required. 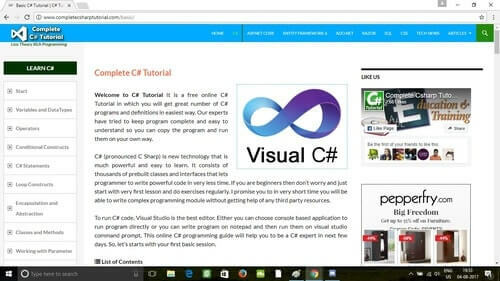 How to Download and Install Visual Studio. 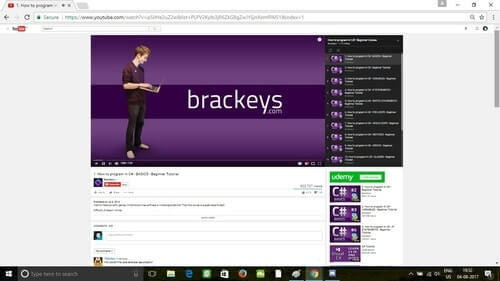 Fundamentals – Data Type, Arrays, Variables and Operators & Enumeration. Access Database and File Operations. This course from CertificationGuru.in provides a solid foundation and covers the fundamental skills required to design and develop object-oriented applications. 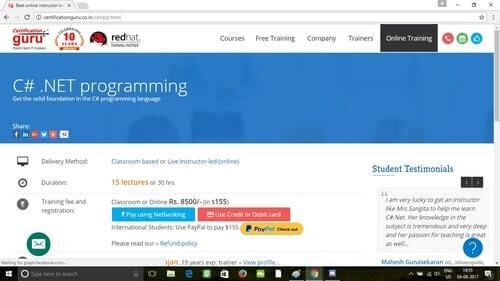 This course especially focuses on developing apps for the Web and Microsoft Windows using Microsoft Visual Studio. Introducing the new IDE in Visual Studio 2015. Using await in catch and finally blocks. Write basic code and reviewing for errors. Creating branches with the if decision statement and the conditional operator. Correct syntax for operators, expressions, and statements of duration. 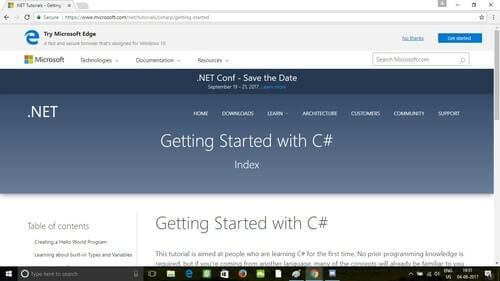 Course Introduction, First C# Program, and Storing Data. 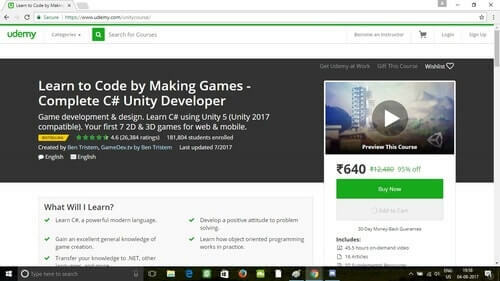 Classes and Objects, MonoGame/XNA Basics. MonoGame/XNA Mice and Controllers, Arrays, and Collection Classes. Glitch Garden: A Plants vs. Zombies Clone. C# is still one of the most widely-used programming languages out there today. 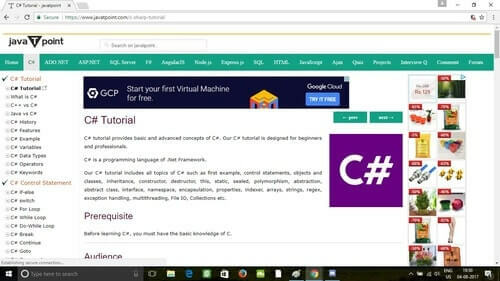 With exception to Java, C# is a powerful programming language with the widest array of functions and uses. It is a multifunctional language that allows developers to create almost anything, ranging from server apps to mobile development to 3D games.